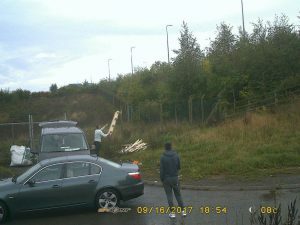 Fly tipping & how to effectively combat it. Fly tipping is defined as leaving unwanted items/rubbish on any land that is not covered by a licence to accept rubbish. Although the rules on fly tipping have been tightened by Section 33 of the Environment Protection Act 1990, it is becoming more and more of an issue. Fly tipping consists of white goods, household rubbish and rubble. Here at Alpha 1 Legal Services we understand the problem. It is in part caused by the rising costs of landfill sites and the red tape surrounding waste disposal. There are of course, the people who just really can’t be bothered to clean up their own mess. They dump it on someone else’s land. However, whatever the reason is, it is still wrong. The landowners or the local authority suffer the consequences. This include additional expense, unsightly mess, and the attraction of vermin to the land. In the worst cases there could be chemical contamination of the land that would take years to resolve. Did you know that f a local authority catches you fly tipping, you could be fined up to £50,000 or even do a stint in prison? This does not deter some people. Read on to find out how we can help. 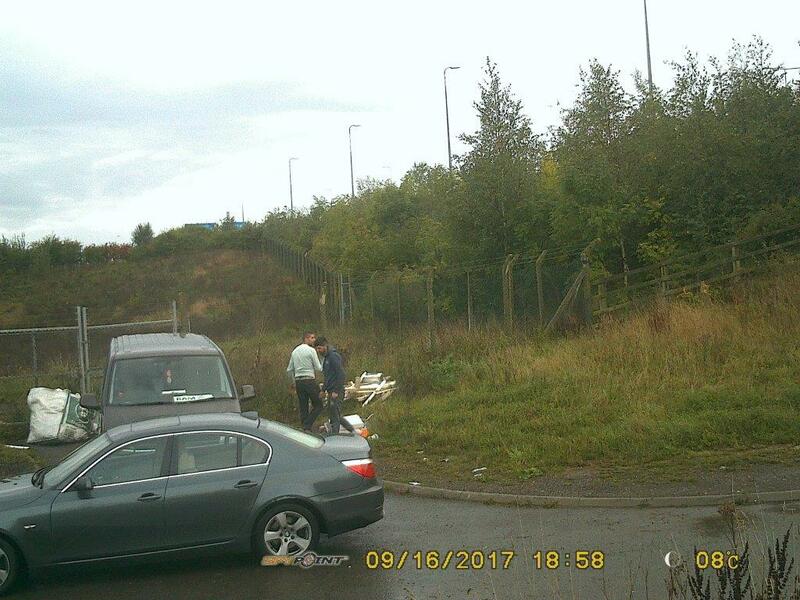 When someone commits the offence of fly tipping on your land it becomes your mess and you have to sort it out. This means that you will incur any of the costs of the clean-up and you have the responsibility to make sure that the rubbish is cleared and disposed of safely. It is not just private land owners that suffer with this unsightly and costly inconvenience. According to an article in the Guardian local authorities dealt with 494,000 cases that had resulted in enforcement action being taken in 14/15. We will find out how severe the problem is. What the likely cost of dealing with the current and preventing future fly tipping. Determine the likelihood of the case being prosecuted. We will check that the person that left the waste has complied with their obligations within waste disposal. We will apply for the RIPA application form and complete all of the resulting paper work. We can take control of any equipment or machinery including vehicles and plant vehicles that are suspected of being involved with the incident (under PACE and by order of the Court). We will enter the property with your permission to serve notice on any witnesses or anybody you reasonably think might be involved. Talking to witnesses – if there are any. All of our witness interviews will be carried out within the guidelines of the Police and Criminal Evidence Act 1984 as an agent of the council. Examining camera recordings – again if there are any. Using our agent’s local knowledge. Depending on the severity and frequency of the issue we use manned covert surveillance or unmanned camera and drone surveillance technology. All of our agents have a working knowledge of RIPA (Regulation of Investigatory Powers Act 2000) ensuring that all of our investigations are carried out within the law. (Whether we use manned covert or unmanned surveillance techniques). Whether you working on behalf of a local authority or a private landowner Alpha 1 Legal Services can help you resolve your fly tipping problems.